Pablo Alonso-Coello is a Senior Researcher at the Iberoamerican Cochrane Center, Biomedical Research Institute Sant Pau. He holds a PhD in Medicine and is a specialist in Family Practice. He is the Director of the Scientific Committee of the National Guideline Programme from the Spanish Ministry of Health and Head of the Barcelona GRADE Centre. In the last 5 years, he has been principal investigator or co-investigator of over 10 research projects, including the DECIDE project funded by the European Commission, as a leader of the work package targeting clinicians. More recently, he also works on ways to integrate the views and experiences of stakeholders and on decision support tools in clinical guidelines. 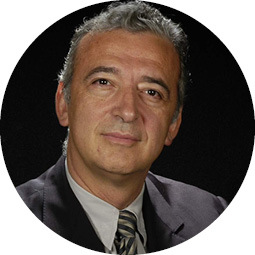 Xavier Bonfill Cosp is the Director of the Iberoamerican Cochrane Centre and of the Clinical Epidemiology and Public Health Service of the Hospital de la Santa Creu i Sant Pau. He holds a PhD in Medicine, specialised in Medical Oncology, Preventive Medicine and Public Health. 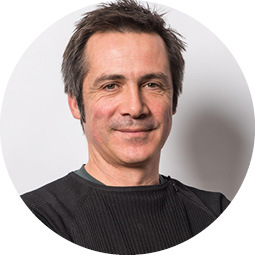 Xavier Bonfill Cosp is a professor at the Universitat Autònoma de Barcelona (UAB) and coordinator of postgraduates of the Paediatrics, Obstetrics and Gynaecology Department and of the Preventive Medicine Department. In the last 5 years, he has been principal investigator or co-investigator of more than 10 research projects, especially noteworthy is his participation in the `Overcome failure to Publish Negative Findings´ (OPEN) project, funded by the European Commission, as a leader of one of the work packages. 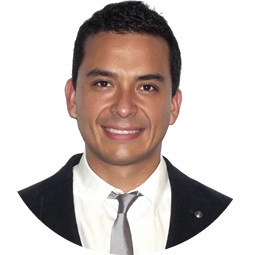 Carlos Canelo holds a Medical Degree with specialisation in Internal Medicine (Universidad Nacional Mayor de San Marcos, Peru), a Master’s degree in Public Health (Uniformed Services University of the Health Sciences, USA), and a Master’s degree in Clinical Epidemiology (Universidad Cayetano Heredia, Peru). He is also a PhD Candidate in the Methodology of Biomedical Research and Public Health Programme (Univeristat Autonoma of Barcelona). He is currently a Researcher at the Iberoamerican Cochrane Centre and a Lecturer at the Master’s Degree in Applied Clinical Research in Health Sciences (Universitat Autonoma de Barcelona). 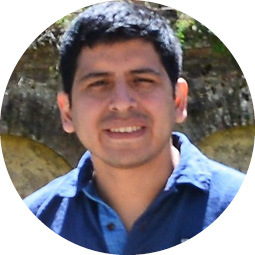 In the field of clinical practice guidelines, he has participated in the incorporation of the GRADE system in Peru, writing the methodological manual of clinical guideline development for the public health system. He is a member of the systematic review team in the European Breast Guidelines, developed by the European Commission Initiative on Breast Cancer. Hector Pardo-Hernandez holds a PhD in Public Health (Universitat Autònoma de Barcelona), a Master’s degree in Public Health (New York University, USA), and a Bachelor’s degree in Chemistry and Biology (Rhode Island College, USA). He is a Researcher at the Iberoamerican Cochrane Centre and a Methodological Editor at the Cochrane Common Mental Disorders Group. He is also a Lecturer at the Master’s Degree in Applied Clinical Research in Health Sciences (Universitat Autonoma de Barcelona). He participates in several GRADE and Guidelines International Network (G-I-N) working groups as well as in the design and implementation of systematic reviews and methodological research projects. He also collaborates in projects that aim to actively incorporate patients’ values and preferences during clinical guideline development and updating. Ena Niño de Guzman holds a Medical Degree with specialisation in Public Health and Preventive Medicine and a Master’s degree in Public Health (Universidad de Zaragoza, Spain). She is a PhD Candidate in the Methodology of Biomedical Research and Public Health Programme (Univeristat Autonoma of Barcelona). Currently, she is a Researcher at the Iberoamerican Cochrane Centre, with a Rio Hortega grant financed by the Carlos III Institute. Her main research interest is the methodology for incorporating patients’ values and preferences in clinical guideline development. She also participates in GRADE methodological working groups, specifically for outcome valuation, prognosis and qualitative evidence. She is a member of the systematic review team in the European Breast Guidelines, developed by the European Commission Initiative on Breast Cancer, and other health care guidelines in Spain. 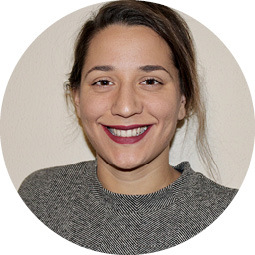 Claudia Valli is a Researcher at the Biomedical Research Institute (Hospital Sant Pau) and a PhD Candidate in the Methodology of Biomedical Research and Public Health Programme (Univeristat Autonoma of Barcelona). 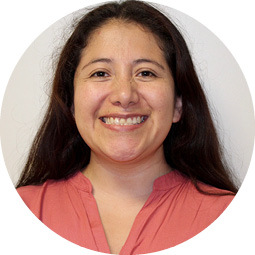 Her work focuses on conducting clinical and nutritional systematic reviews and synthetising research evidence to support informed decision-making and guideline development. She holds a Master´s degree in Nutrition and Health at Wageningen University (Netherlands) with a specialisation in Epidemiology and Public Health. She is a member of the systematic review team in the European Breast Guidelines, developed by the European Commission Initiative on Breast Cancer.